© Fedora Magnin. All rights reserved. 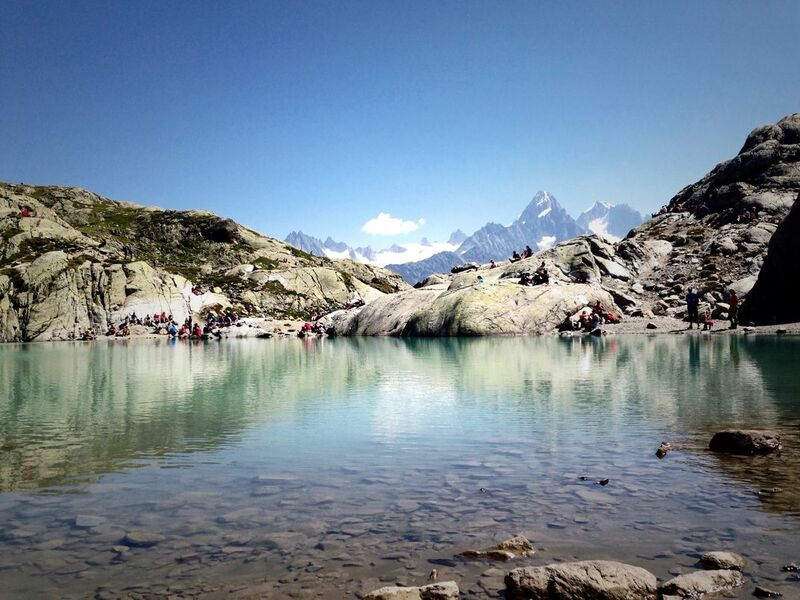 Rewarding view during the tour of the Lac Blanc in the valley of Chamonix, obtained after a long and magnificent hike. Discovering the French alps mountains and the delightful Mont Blanc in the back - idyllic and peaceful scenery to capture.